The Colombian agency of health technology assessment, Instituto de Evaluación Tecnológica en Salud (IETS), is a not-for-profit, public-private agency established in September 2012. Its members include the Colombian Ministry of Health and Social Protection, the National Institute of Food and Drug Monitoring (INVIMA), the Colombian National Institute of Health (INS), the Colombian Administrative Department of Science, Technology and Innovation (Colciencias), the Colombian Medical School Association (Ascofame) and the Colombian Association of Scientific Societies. Academic lectures and workshops on topics such as: evidence based medicine; systematic reviews and critical appraisal of medical and economic literature; development of clinical guidelines and economic evaluations of healthcare technologies; and participation and deliberation processes for informed decision making. 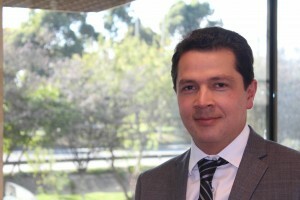 IETS aims to stimulate and strengthen health technology research in Colombia, contribute to better patient care by supporting public health policy formulation, increase quality, efficiency, equity and sustainability of the Colombian healthcare system and improve equitable access to health care services and technologies. IETS produces health technology assessments, evidence-based clinical guidelines and protocols of drugs, medical devices, procedures and treatments to support policy makers and healthcare professionals decide what technologies are effective, offer the best quality and value for money and therefore should be financed with public funds.